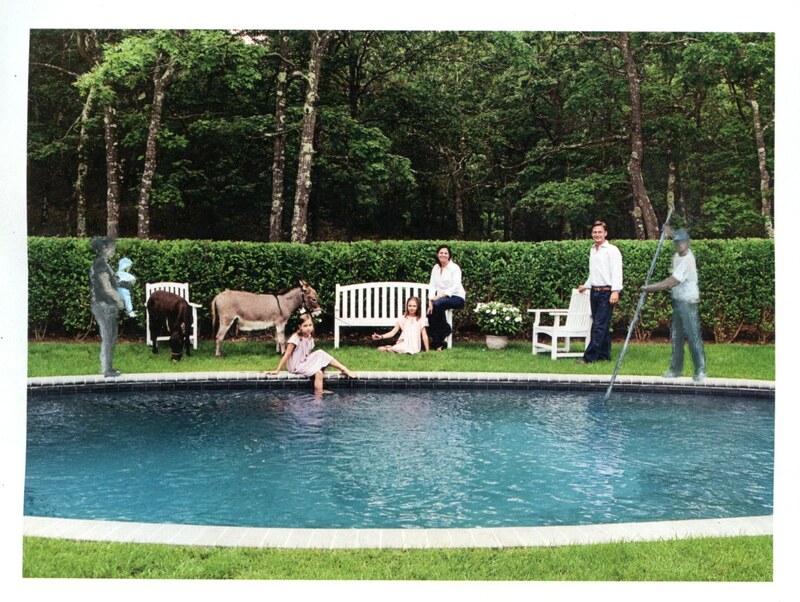 Gómez’s technique involves a) installations featuring cardboard cut-outs of otherwise overlooked service workers (leaf-blowers, cleaners, nannies) in public places and so plain sight and b) interventions into images of pristine homes, taken mostly from magazines and adverts (but also occasionally high art) to reinsert the figures of domestic labour that have been erased or marginalized but without whom none of this would exist. The funny thing is that, according to a note on Gómez’s Facebook page, so does the man pictured with his family. I’m not entirely sure what we can gather from that. 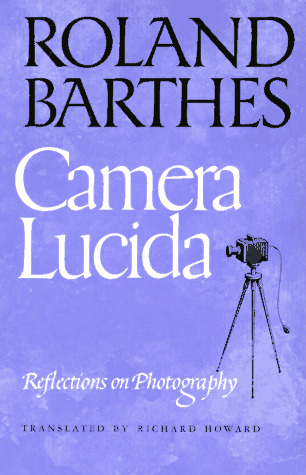 Roland Barthes’s analysis of photography, Camera Lucida , claims that photography is ultimately a question of affect, and famously delineates two forms of affect that photographs may provoke, or that provoke our interest–perhaps even our obsession–in photography. First, the studium is “general interest” or “a kind of general, enthusiastic commitment” to photography as cultural or historical documentation (26). 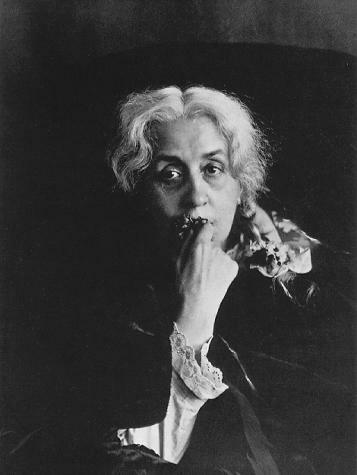 We may be curious or intrigued; our interest may “even [be] stirred sometimes,” but in the end our investment in photography for what it tells us (say) about the conditions of life fifty years ago–or about the scenery or customs of distant lands, or even about our friends’ children or summer vacations–derives from or constitutes no more (and, I’d add, no less) than an “average affect, almost from a certain training” (26). Second, however, the punctum is what “break[s] (or punctuate[s]) the studium“; it is what “rises from the scene, shoots out of it like an arrow, and pierces me” (26). 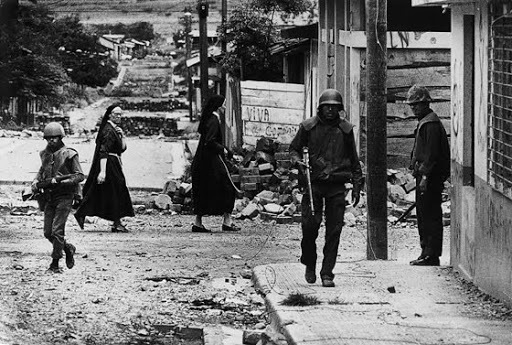 Often the punctum arises from a detail, perhaps at the margins of the image: Barthes’s own examples, taken from news photographs of the Nicaraguan revolution, include two nuns crossing a road, a “corpse’s one bare foot,” “the huge eyes of two little boys,” or the rag covering a guerrilla’s face (23-5). 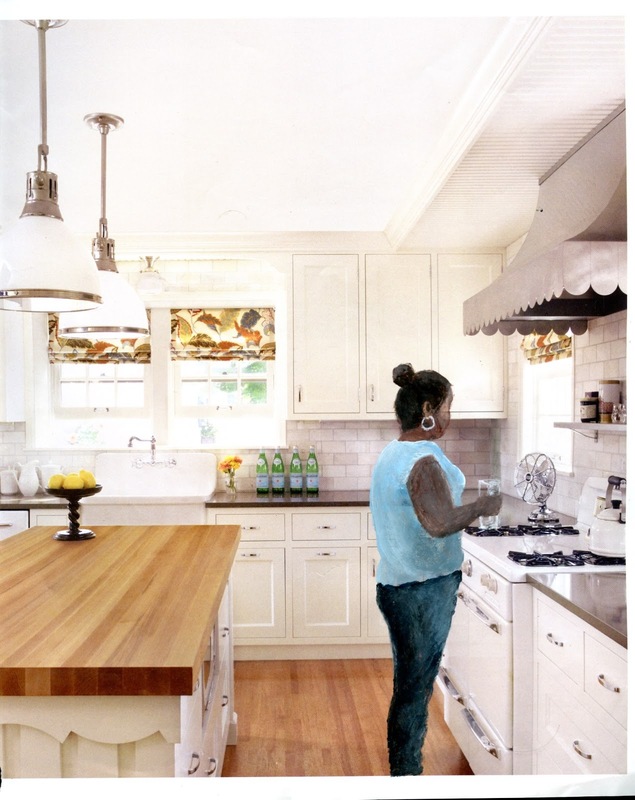 If the studium is “of the order of liking” (27), the punctum by contrast invests the experience of viewing a photograph with a certain shock or surprise, perhaps even disgust, that reveals something of the viewer’s desire. Barthes is undoubtedly more drawn to the punctum than to the studium. If we can more or less equate the studium with habit–for what is habit but “average affect” or, perhaps better, affect that has been averaged out?–then Barthes is concerned with rediscovering the ways in which photographs break our sense of routinization, of the everyday. If “Society is concerned to tame the Photograph” (117), Barthes’s concern is to show that photography remains wild, untamed. And if the “two ways of the photograph” are to be “mad or tame,” then there is no question than that Barthes prefers madness, or what he also terms “the photographic ecstasy” (119). Barthes is interested in the punctum as what supplements the routinized, banalized practice of photography (“it is an addition” ) but is “nonetheless already there,” ready to prick or shock the unwary observer. Even, indeed, the most everyday snapshots, he suggests, have something “scandalous” about them in that, by “attest[ing] that what I see has indeed existed,” they have “something to do with resurrection” (82). Hence “the Photograph” (and note the capitalization, for this in Barthes’s view is the essence of photography) “astonishes me, with an astonishment which endures and renews itself, inexhaustibly” (82). This astonishment brings interpretation to a halt. Perhaps strangely for someone known as the founder of semiology, of the “science of signs,” who made his name in Mythologies with astute readings of the semantics of the image, Barthes is not here particularly interested in “reading” the photograph. Affect undoes or bypasses the mechanisms of signification and perhaps the symbolic order as a whole. If the studium allows for and indeed motivates interpretation, the punctum actively resists it: “the studium is ultimately always coded, the punctum is not” (51). Moreover, the punctum is somehow blinding, in that it opens up to what Barthes terms a “blind field” (57). Hence the paradox that “in order to see a photograph well, it is best to turn away or close your eyes” (53), for “to shut my eyes [is] to allow the detail to arise of its own accord into affective consciousness” (55). We should not be surprised that for Barthes photography is essentially about the body (“What does my body know about Photography?” is his initial question ), and about “the return of the dead” (9) not simply as resurrection but as the return of death itself. The sense of astonishment or shock provided by the photographic detail is redoubled (or underwritten) by what Barthes calls “another punctum” (96); for if it is astonishing to realize that what I see has indeed existed, this shock owes to the simultaneous awareness that it no longer is. Death, and so time, is encoded in the photograph. Seeing a photograph of his mother as a young child (and much of this book is sparked by reflections on his mother, recently dead, as he scans through old photographs “looking for the truth of the face I had loved” ), Barthes realizes that “she is going to die: I shudder [. . .] over a catastrophe that has already occurred. 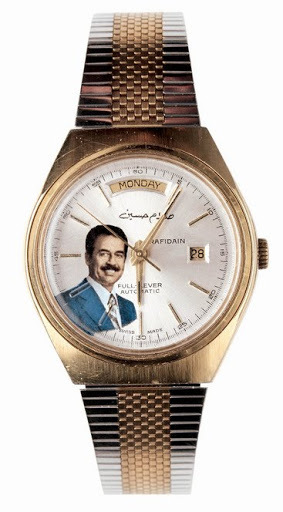 Whether or not the subject is already dead, every photograph is this catastrophe” (96). Contemporary with the withdrawal of rites, Photography may correspond to the intrusion, in our modern society, of an asymbolic Death, outside of religion, outside of ritual, a kind of abrupt dive into literal Death. Life / Death: the paradigm is reduced to a simple click, the one separating the initial pose from the final click. (92). Photographs perform the scandalous miracle of resurrection, but at the price of reminding us of, or even imposing upon us, the catastrophic and uncompromisingly final death that makes that resurrection necessary–and agonizingly desired. 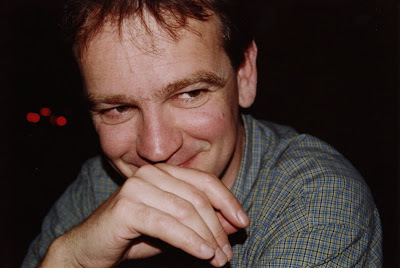 I’ve long expressed my enthusiasm for the photographer Martin Parr. So it’s worth checking out a burgeoning debate recorded by Owen Hatherley between himself and Nina Power, inspired by a visit to Parrworld. Nina reckons, and she is of course right, that this decontextualised pile up is just an exemplar of postmodernism at its worst, an end of history scenario where we can just accumulate ephemera from a time where we actually believed in stuff, place it untouchable under glass, and nothing need ever happen ever again. They focus on what happens to documents of working class militancy, such as posters from the miner’s strike. A first point to note is that Parr is equally (if not more) skeptical about the claims of those in power (think of the Saddam Hussein watch series) or of popular culture (the Spice girls chocolate bars). Second, I’d say that Parr was more skeptical about political claims, political symbols, and political projects (including, yes, that of the the National Union of Mineworkers) than about politics per se. Or perhaps he clears the ground for a different kind of politics. In any case, I don’t think he can be so easily dismissed as run-of-the-mill postmodernism gone amuck. The past few posts have been rather wordy, and not very bloggy. Apologies. As some kind of compensation, here is a photo of a man plotting Bourdieu’s downfall, in a Montreal bar. And no, this is not an audition for a remake of Beau Brummell . 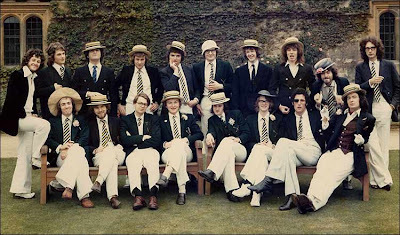 It’s a group portrait of the “Bullingdon Club,” a rather unsavoury and very elite Oxford drinking club. 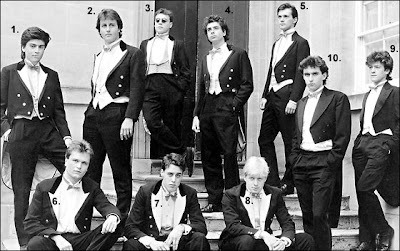 The chap identified as “number two” in the photograph is David Cameron, current leader of the British Conservative party (for details of the others pictured, see the Evening Standard ), who has been working strenuously to present himself as man of the people. I believe that at least one of my regular commenters may have further observations from Cameron’s school days. Meanwhile, for a bit of balance, here’s a photograph featuring the current leader of the British Labour party.